If you have not yet experienced The Harmed Brothers, this up and coming, head-turning, hard-working, and dedicated band must be your next adventure. I had my first encounter last year at The Whispering Beard Festival and was instantly addicted. 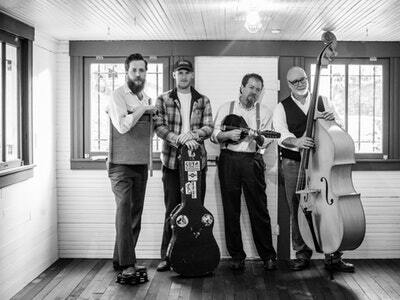 Traveling all the way across the nation from Oregon, Ray Viette (guitarist/vocalist), Alex Salcido (banjoist/pianist/vocalist), Troy Broat (upright bass) and Ben Kilmer (drums) make up the gentle bunch known as The Harmed Brothers. The band has established their own brand of music often referred to as Indiegrass, that must be experienced, taking each passenger on an emotional ride you may never leave, full of high, loud, raw energy, combined with soft, expressive, romantic lyrics that excite and enchant the soul. I caught up with the very kind Ray Vietti and had a friendly conversation about giving true meaning to life on the road, making friends, and of course, where you can feed your Harmed Brothers addiction. Do not miss them this year at The Beard!!! CB: I first saw you at Whispering Beard Festival last year, instantly becoming a fan, and more recently at the Southgate House Revival. 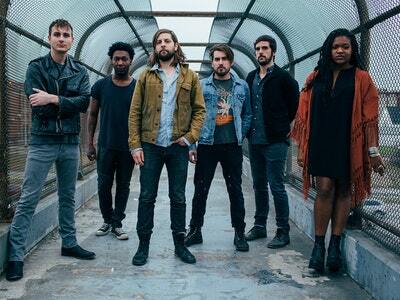 The band claims Eugene, Oregon as its home. 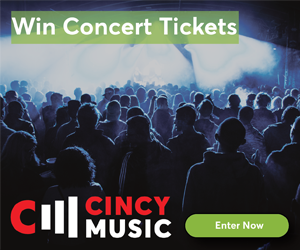 How did you get involved in the Cincinnati music scene? RV: Our first experience with the Cincinnati music scene was Whispering Beard last year. It was such a wonderful experience, and we met so many great people and musicians that we started looking to make it a more frequent stop. Over the last year, we have grown quite fond of your fair city and have been back quite a few times and intend to keep coming back for as long as you'll have us. CB: It’s not just Cincy music festivals and venues you frequent – The Harmed Brothers are known for traveling across country. What makes you hop in a van and crisscross the nation? Is music a full time gig? RV: Music has been a full time gig for us since 2009. The only way to make it a full time gig is to be playing. I can't speak as to what the music industry was like years ago but in today’s music world it seems the only way to stay above water is to get out there and play. So we jumped right in head first in ‘09 and haven't really looked back since. The traveling can get tough at times, but at the end of the day, the reward is well worth it. CB: You share a popular rendition of an old tune with Buffalo Wabs, “The Very Best”, one of my favorites on your album, Come Morning. Where did you first hear the song and what inspired you to add it to the album? RV: The Very Best is a tune our dear friend Willy Tea Taylor wrote, and we always loved it. We worked out our rendition of it for live shows, and it went over so well that we asked him if we could put it on the record. Will is not only our friend but often times an adviser or guru of sorts. He's one of those guys that people tend to gravitate toward, and the songs he writes are simply beautiful. It’s those things that made us want to attempt to cover one of his tunes. I'm sure it’s that same love for a friend that encouraged Wabs and Co. to do the same. We are all pretty good pals these days and all share a mutual respect for each other. Can't wait to see all those fellas at The Beard. CB: Although Come Morning still remains my favorite album, especially with tracks like “Beast of the Northwest” and “Oh the Glory”, your latest album, Better Days, is equally addictive with “When You See Me” and “Love Song for the Assumed”. Which song or songs have the most impact on you? RV: That's really hard to say. We are always reinventing the songs with different instrumentation as well as stripping them back down to the two of us which gives them all kinds of skins. That in turn gives the songs more or less of an impact on us all the time. It’s more of a rotating favoritism than anything. But they all have their own way of taking us over at different times. CB: At the Whispering Beard Festival, my friend and I tracked Alex down to buy a CD. If fans aren’t so lucky, where can they go to buy your music? RV: I’m glad you could track him down; he's a hard one to catch sometimes. Our music will be available at Murray's Merch Tent at The Beard of course, but if you can't make it over or just can't wait until then to get us in your ears, you can find three albums (All The Lies You Wanna Hear 2010, Come Morning 2012, and Better Days 2013) on iTunes and/or their respective label homes. You can also find a very early live album and an EP we gave away for Xmas 2012 on bandcamp.com. There are links to all this stuff on our official web page, HERE. Be on the lookout for more from us sometime this year!! CB: My favorite part of the Whispering Beard Festival was the after party, the sing-alongs around the bonfire. As a returning guest this year, what are you looking forward to the most? RV: What’s not to look forward to this year!!! We are going to spend the weekend out there and can't wait! Looking forward to seeing all of the wonderful friends we have made in the area as well as fellow musical pals from different parts of the country that will be performing. Getting to see The Fairfield Four is going to be nothing short of EPIC. One thing we are really looking forward to is the much anticipated Wiffle Ball game between The Smoking Lefties (Us, Willy Tea Taylor, and Possessed by Paul James) verses Buffalo Wabs and The Price Hill Hustle and Co. I'm currently calling it “The Buffalo Wabs Beat Down!!! 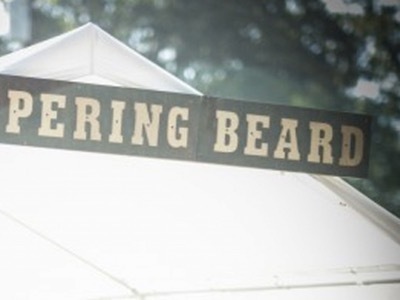 !” Really though, Whispering Beard Folk Festival is a beautiful event. Too many amazing acts to count and friends, friends, friends!! How fitting that they hold it in the town of Friendship, IN. Beautiful!!! CB: Besides attending the Whispering Beard Festival, as an out-of-towners yourselves, from your visits to Cincinnati, what is one thing you would recommend a must do to another out-of-towner? RV: Well now there is no one thing. We really do love your city. There are a few things I feel are must dos and I bet at least one of these things a lot of the city hasn't done themselves. Easy one, go to Skyline Chili. That's a no brainer right? If there's a show at the Southgate House Revival no matter who it is, GO! Great venue. Now the next one is tricky because it’s only open on the weekends. 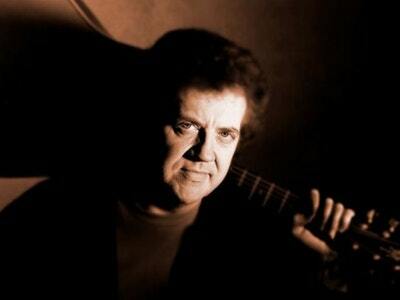 I know this because it took a few visits before we were able to go there - go to Bobby Mackey's Haunted Honky Tonk. Bobby will be there, that's a guarantee and what more do you need! Too much fun to be had there. And when you are leaving town whether by plane, train, or automobile be sure to grab yourself a bag of Grippo's. We always like to take a bit of Cincy with us when we leave anyway.